Line a baking tray with baking paper or a silicon mat. In a double boiler, add chocolate pieces, coconut oil and butter. Allow to melt mixing slowly. Pour chocolate into the baking tray and even out. 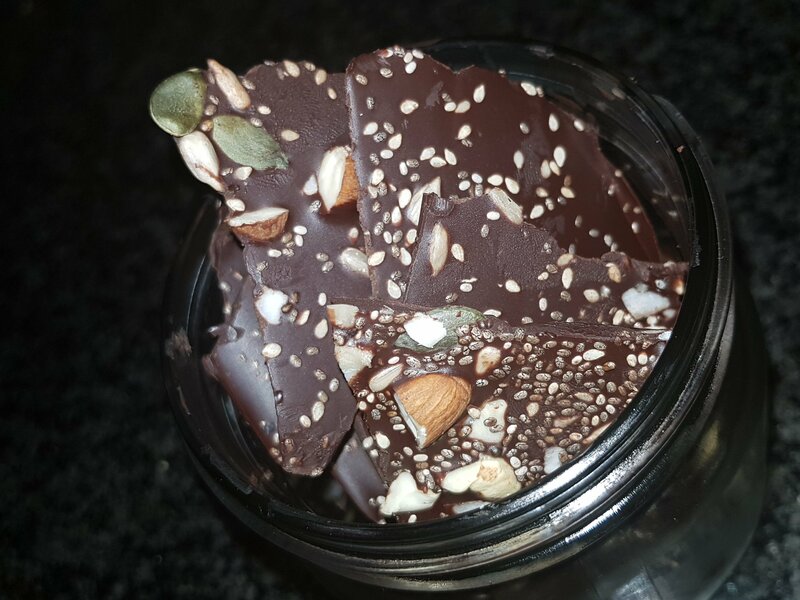 Sprinkle the chopped nuts and seeds over the chocolate. When set break into pieces and serve.